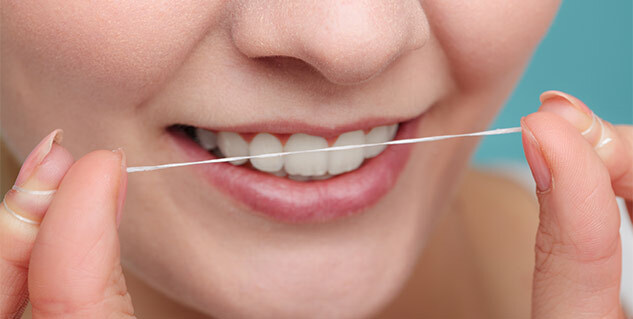 Extrinsic – This is when the enamel is stained. The causes of extrinsic pain include coffee, wine, drinks or foods, and smoking. Intrinsic – This is when the dentin (the inner structure of the tooth) becomes dark in colour or gets a yellow tint. There are multiple reasons why you get this type of a problem including exposure to fluoride, childhood trauma (like a fall), or a tooth condition. Age-related Discoloration – This is the combination of both the aforementioned factors. The enamel gets thinner with age and the dentin becomes yellow. If the pulp has been damaged along with other injuries can also lead to discolouration of teeth. Certain food items and drinks such as apples, potatoes, cold drinks, tea, coffee and alcohol can cause your teeth to discolour. They change the pH of the mouth leading to staining of the teeth. Diseases can also cause teeth discolouration. Diseases related to mouth and teeth lead to staining. If a pregnant woman develops any kind of infection, this can result in tooth discolouration in the newborn. Even some treatments such as radiation therapy and chemotherapy can also cause teeth discolouration. A proper dental care is essential to prevent teeth discolouration. If you are not regular in brushing and flossing properly, this results in plaque deposition, thereby resulting in teeth discolouration. Accumulation of food particles on the teeth surface causes yellowing of the teeth and tooth decay. Excessive use of toothpaste rich in fluoride or use of water high in fluoride content for rinsing causes fluorosis. Fluorosis results in the appearance of thick white stains, followed by browning of the teeth and tooth decay. Medications also cause teeth discolouration. Certain antihistamines such as Benadryl, antibiotics and drugs for high blood pressure are also responsible for the staining of teeth. Chlorhexidine and cetylpyridinium chloride present in iron syrups and mouthwashes respectively also cause teeth discolouration. Tetracycline and doxycycline are also known to cause teeth staining in children. Aging is another important factor responsible for teeth discolouration. Aging leads to wearing of the enamel which exposes the yellow dentine. Old people who smoke and drink are more prone to develop teeth discolouration. Saliva protects your mouth from all kinds of microbial infection. It also maintains the pH of the mouth. Less production of saliva due to any infection or disease results in plaque formation and teeth discolouration. 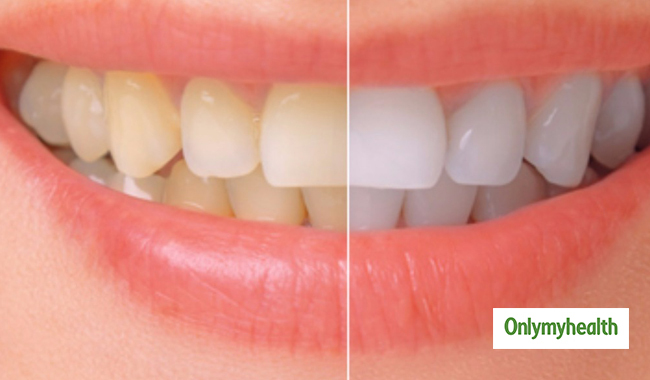 Teeth discolouration is very easy to prevent. By making few changes in the lifestyle accompanied by a proper oral hygiene, you can always keep your teeth healthy, white and shiny. What Causes Tooth Sensitivity to Cold?